Leicester City Council, under the leadership of Mayor Sir Peter Soulsby, has worked hard to encourage investment into the city for its City Regeneration Scheme. By combining public funds, Government Grants and a powerful sense of ‘will do’, it has been able to convince private investors to plough in excess of £200 million into development and redevelopment projects across central Leicester. JMS have been, are and will continue to be heavily involved in many of central Leicester’s construction activities. 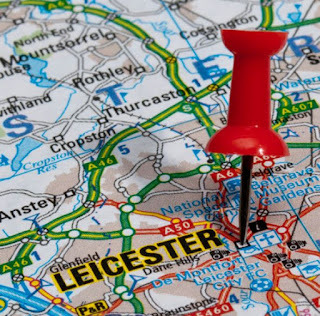 JMS Leicester is growing at pretty much the same pace as the office, retail and residential schemes that surround it. 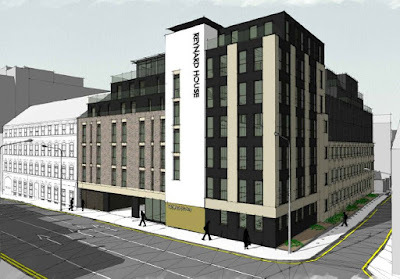 Reynard House in Welford Road is one such development. 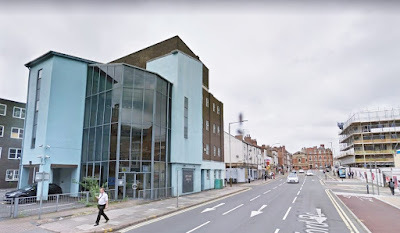 Located close to De Montford University and the Leicester Royal Infirmary and a stone’s throw from the Leicester Tiger’s, Reynard House is currently an ageing building containing redundant office suites. "It has taken a long, long time but we are getting there at last" said Sir Peter. "It is the biggest regeneration scheme Leicester has seen in decades in terms of homes built, jobs created and economic output." 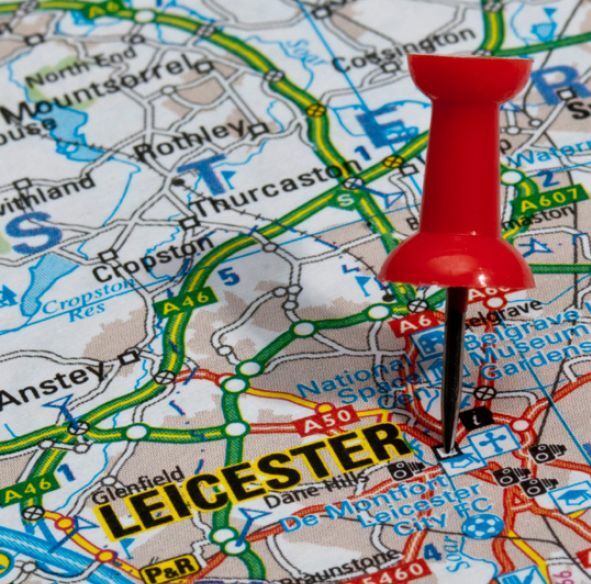 This is why JMS' Leicester Office is in the right place at the right time. 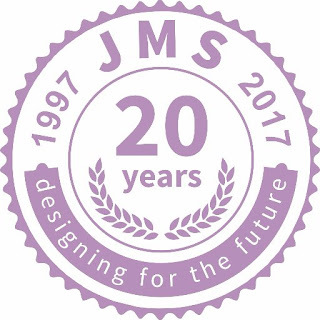 It is no coincidence really, being part of Daniel Staines' (founder of JMS Group Ltd) long term policy for deploying regional JMS Civil & Structural Engineering services at the heart of such investment and development activity. Reynard House is being redeveloped from its current state of redundant offices into a total of 79 residential apartments, 38 being in the extension. Not only will a 7 story extension be added to the side and rear, it is growing upwards adding 3 stories to the top. Architecturally, the design is intended to enhance the existing 1980s style of the building. The dark, dated brickwork will be covered in a palette of renders with contrasts taking full advantage of the existing proportions. The corner section fronting Welford Road and Norton Street extends in similar style, creating a taller focal point. The facia of the neighbouring Shoe & Boot factory (now also a residential conversion) has been considered and reflected sympathetically in the design. 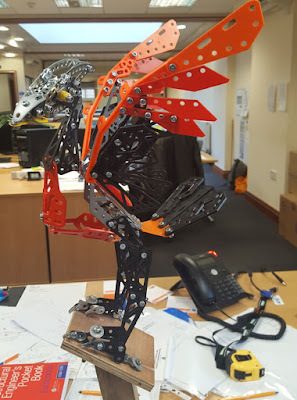 It just shows that nothing stands still for long at JMS, not even the tallest Meccano-inspired Liver Bird in the world. No sooner had we told you that JMS Midlands has been shortlisted as a finalist in the IStructE Awards than the awards are announced and certificates presented. 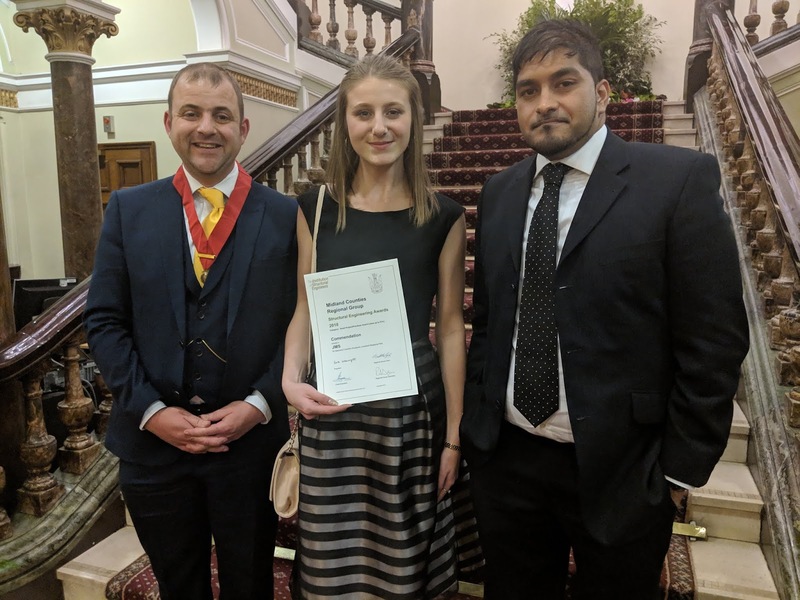 As you will see from the the three smiling faces of Andy, Megan and Amish, JMS Midlands' engineering innovation was recognised with a well deserved Commendation. You may remember us telling you we were involved with one of the Liverbirds? Well we're proud to announce that this particular bird has been shortlisted as a finalist in the Midlands Counties Structural Awards. These awards are run and awarded by IStructE - the Institute for Structural Engineers - each year for innovative engineering achievements throughout the Midlands. Past winners have included The Engineering Building at the University of Leicester; The RSC 'The Other Place' Theatre; and Birmingham City University - so we are in good company. Renowned artist Emma Rogers has already left her mark on the city of Liverpool with several other Liver Birds adorning local landmarks as well as her statue of Cilla Black (another Liverbird) standing outside the Cavern Club. 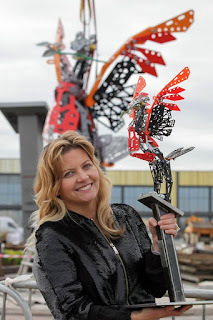 So when she (Emma not Cilla, bless her) was tasked with designing her most ambitious Liver Bird yet, she knew she wanted to honour one of the city's most celebrated toy makers, Frank Hornby on whose former factory site the bird was to fly. The former Hornby Meccano factory had been cleared for the vast, new and impressive Liverpool Shopping Park which would become home for the biggest Liver Bird in the world - Emma's. Her design was based on Hornby's best loved Meccano which, for many engineers of a certain age, would have been their first foray into the world of construction. 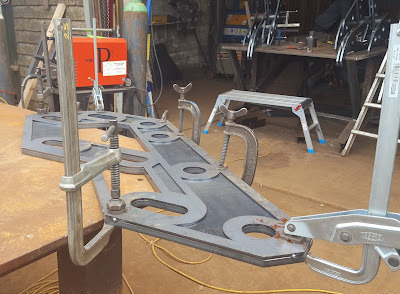 Emma's designs called for Meccano pieces of a much larger scale to the originals! 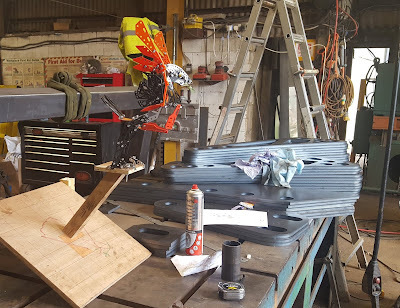 To turn this ambitious design into reality, she briefed Art Fabrication's Andy Langley with the task of designing the giant Meccano pieces required to construct the bird. 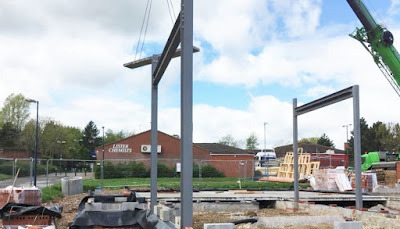 With the scale of the project as large and unusual as this, Andy turned to the JMS Midlands team to engineer the structure and create the stylish plinth on which the amazing work would stand. "It's a real honour to be involved in this beautiful celebration of Liverpool's history and culture," said JMS's Andy Kenyon. "And we are delighted that the finished product has been earmarked for such a highly respected industry award. 7 tonnes of steel and 1,000 hours of metalworking would encapsulate Emma's phenomenal designs. We are all over the moon that we were able to do justice to the project." As Emma herself said: "They really captured the intricacies of my design and translated my artistic vision whilst perfectly retaining the character of the bird on such a huge scale." The rest, as they say, is history. 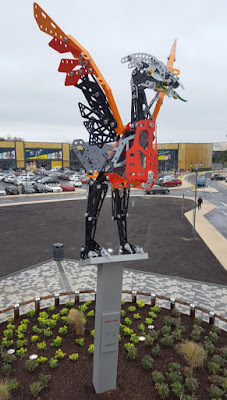 Should you visit Liverpool Shopping Park, you will be greeted by an 11 meter tall Meccano-inspired Liver Bird who, if you're lucky, will give you a rendition of Cilla Black's 'Step Inside Love'. 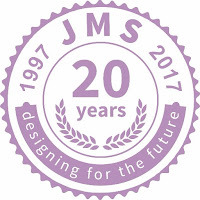 Being part of a project that breaks records, adds to the culture of a city and celebrates the favourite 'toy' for many generations of young engineers, is a great honour for JMS. Now, having that work shortlisted for an award by our own peers is even more amazing. Whatever the result - when they are announced on 16th November at the Birmingham Council House, Victoria Square - we wish Emma, Andy at Art Fabrication and our Midlands Team the best of luck. When we realised we needed someone to take over our current Leicester team, to make even bigger and better, there was only one name on our list. That was Lynn Clancy who we are delighted to announce has joined JMS as an Associate Director. Lynn is the new 'head honcho' at the Leicester office, the man in charge of overseeing the many and very exciting projects we have lined up for the Midlands. Lynn developed a reputation for his diplomatic management skills whilst dealing with clients in Bahrain. He managed some very prestigious projects for some of the richest and most powerful people and organisations in the world. Keeping them happy was one thing, but doing so whilst the Arab Spring was in full swing was an additional challenge not many would relish. Lynn thrived though and landed plenty of success. "It's about listening very carefully and being able to understand and evaluate the logistics of the project right from day one. It it practical and deliverable? Once you establish that it's about being pragmatic. Roads and towers have to be built after all." Whilst political revolution doesn't seem high on the agenda in the Midlands (despite the recent Conservative Party Conference there), Civil and Structural Engineering projects need equally careful management. As Architects continue to find new and creative ways to shape the landscape to serve the needs of growing populations and inner city redevelopment, it falls to the team at JMS to ensure such creativity can be successfully engineered. These beautiful structures and innovative infrastructure must be underpinned by environmentally friendly, cost effective and safety conscious engineering. JMS's Leicester office is located at the Innovation Centre on Oxford Street which is itself a striking local landmark. The team there will be growing to meet the demand for strong construction leadership. "I'll be building a talented, skilled team over the next few months and years, adding plenty of skilled jobs into the local economy" said Lynn. "I will also be attracting and developing clients into the region, building long term relations with the people who will invest in Leicester as we take on redevelopment projects across all sectors." Daniel Staines, MD of the JMS Group, is delighted to have such a renowned talent on board. "Lynn Clancy is the ideal person to lead the way for us in the Midlands. Lynn will use our intuitive communications and management system, collaborative resources and experience to ensure that JMS continues to do amazing work there." It's an exciting time for JMS and an exciting time for Leicester and the Midlands as the area continues to enjoy massive redevelopment and investment. 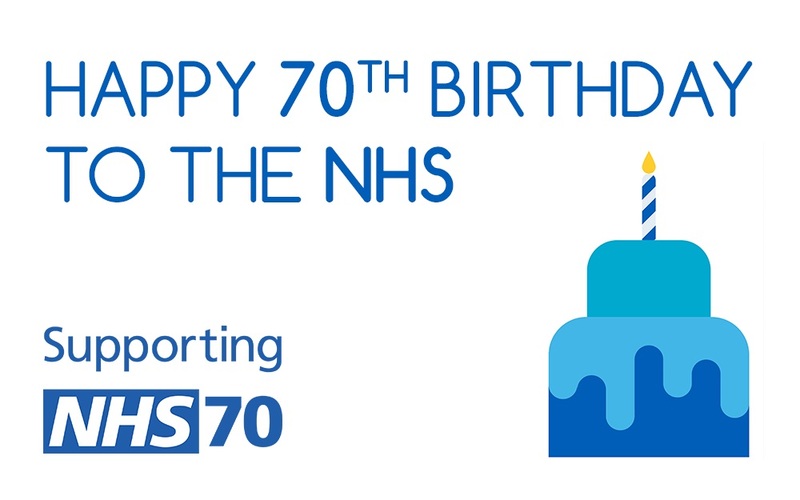 When you consider the healthcare we are fortunate enough to enjoy in this country, you probably (and quite rightly) think about the diligent and hardworking nurses, skilled surgeons and heroic doctors who save likes and care for the sick every day. But for these people to do their invaluable jobs, they must have somewhere to work and we are proud to say that's where JMS are fortunate enough to come in. The cost effective Civil and Structural Engineering solutions we are providing for the healthcare sector allow those vital services to do their jobs effectively, without having to throw more and more taxpayers' money into upkeep and expenses. It also means medical professionals can focus on saving lives - locally. The vulnerable and infirmed can be reassured knowing medical support can be accessed easily and locally, through the increasing number of neighbourhood medical centres and walk-in clinics. As with all of the projects we're involved with, we have local environment and healthcare in our minds too. "The recent Brownsover Health Centre development was awarded an 'excellent' rating for environmental, social and economic sustainability by a respected buildings research body" said Bhavin Parmar of JMS Engineers Midlands. 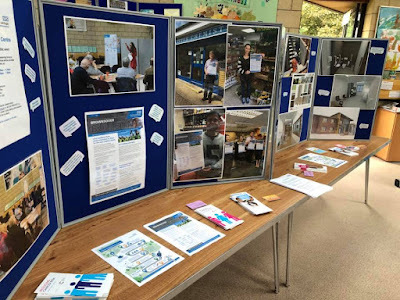 "So we are not just helping look after the local community, we are being careful and respectful to the environment too." 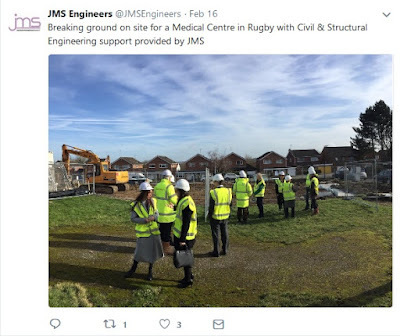 Being involved in designing and building the medical centre in the Brownsover region of Rugby is just one of JMS's many involvements in improving the country's medical facilities. The local community's struggle to get adequate medical care (as detailed in Part one of this news release - here) is unfortunately far from unique. As the population or our country grows year on year, we're going to need more and more places to cater for such needs. To make that feasible, engineering teams need to find sustainable, environmentally conscious and architecturally sound ways to construct medical centres throughout the UK. "We're heavily involved in the healthcare sector" said JMS's Andrew Kenyon. "These medical centres are becoming more and more of a focus as the NHS looks for viable local alternatives to hospital attendance. For that reason they're situating such care centres in prominent, easily accessible locations. They want a visible presence which means we have the job of engineering facilities that not only fit the specific role, but look striking and attractive. We have many such projects throughout the UK. Buckinghamshire, Leicestershire and Warwickshire projects are actively managed by regional JMS offices." Brownsover's £ 2.3 million development is just one phase of a major project covering the whole of the UK. This is vital activity we're proud to be so heavily involved in. Next time you think about the invaluable work of the NHS, particularly in this, their 70th anniversary year, remember the part JMS Consulting Engineers are playing in ensuring people get a great level of care so close to their homes. 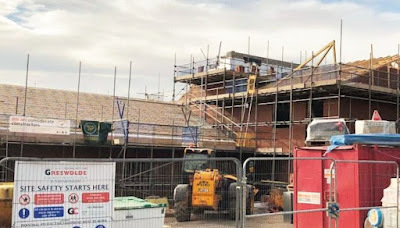 We are now a little over half way through the construction of the new and much needed Medical Centre at Brownsover, Rugby. Politically this has been a proverbial hot potato that has left the residents of Brownsover without local medical facilities since 2015. The Brownsover Patients Action Group have been understandably active in canvassing all quarters to get something done. The plans for new facilities have been a long but financially shallow promise causing great concern within this part of Rugby. Mark Pawsey (MP) has been hugely supportive, raising the problem in Parliament a number of times, lastly in November last year when he addressed the Rt Hon Theresa May in PM’s Question Time. She confirmed NHSE to be on the case and that action would be delivered 'soon'. Soon was a long time coming but ‘ground was finally cut’ at a ceremony on 16th February providing belated Valentines wishes to the Brownsover Patients Action Group and the people of Brownsover. Construction is being undertaken by Greswolde Construction to Civil and Structural solutions engineered by JMS Engineers. 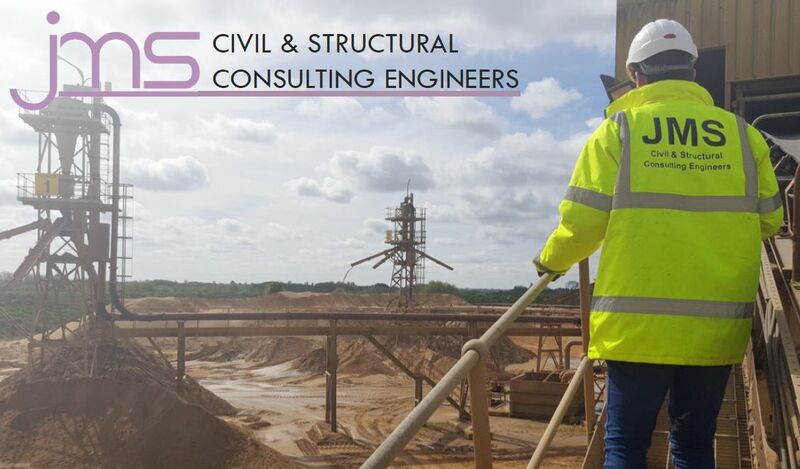 “To be involved in any engineering project is a challenge rewarded by the satisfaction of our plans being implemented for the cost effective Civil and Structural solutions we design. It is doubly rewarding when it means so much to a community like this” said Bhavin Parmar of JMS Engineers (Midlands). The Building Research Establishment Environmental Assessment Method (thankfully acronymed to BREEAM). They assess the asset’s environmental, social and economic sustainability performance, using standards developed by BRE. Engineering solutions to deliver such high specifications is indeed rewarding. 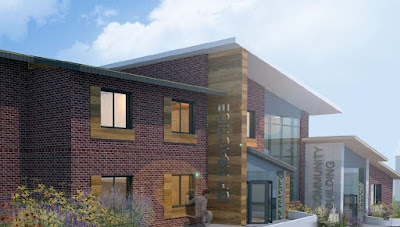 The £2.3 million development delivers 624 square metres of GP surgery and 100 sq m of community facility with parking and landscaping. Look out for the second part of this story. It will be less of a social and political observation and certainly more 'engineeringly correct'.